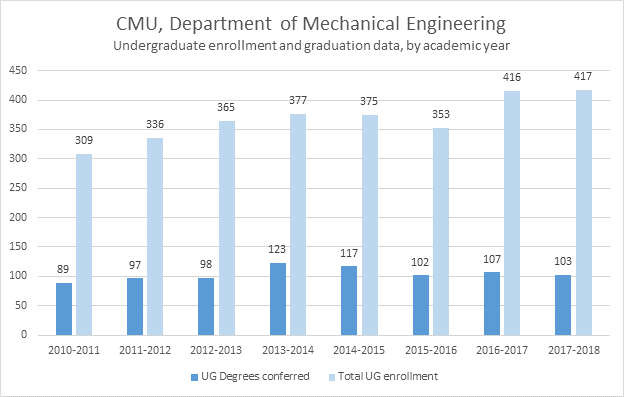 The undergraduate program in the Department of Mechanical Engineering prepares students for their individual career paths and fosters the ability to adapt to the rapidly changing technologies faced by today's engineers. The program is accredited by the Engineering Accreditation Commission of ABET. Students will complete the departmental major requirements and the College of Engineering general education requirements. In addition to our demanding course curriculum, our department offers several optional programs for undergraduates seeking specialization and further experience throughout their studies such as College of Engineering minors. For the ambitious student, we offer an integrated master's/bachelor's degree program. 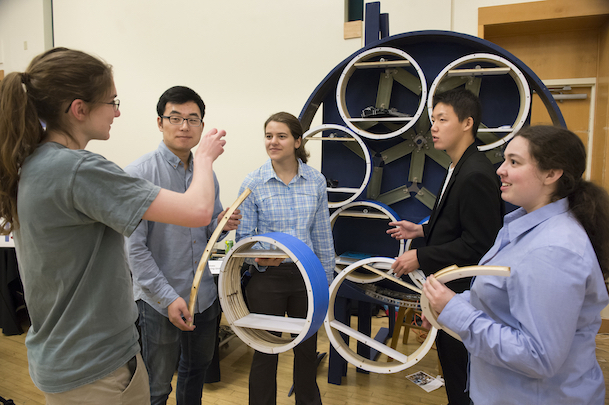 Students work in teams to tackle real-world problems, demonstrating their final projects during the Senior Design Expo each semester. excel in diverse career paths within and beyond the engineering profession, including in industry and academia. 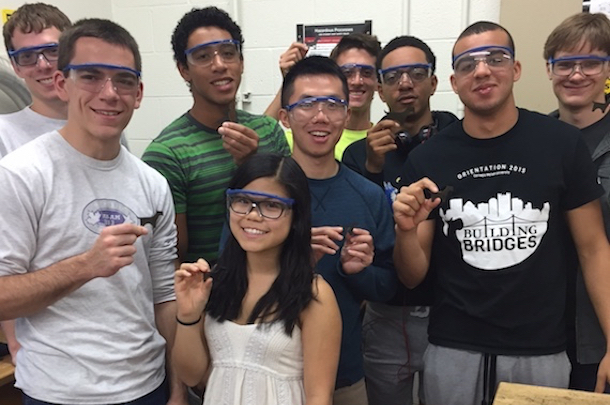 Undergraduates learn both subtractive and additive manufacturing technology. These students used laser cutters to create miniature Scotty dogs (Carnegie Mellon University's mascot) in the Machine Shop. 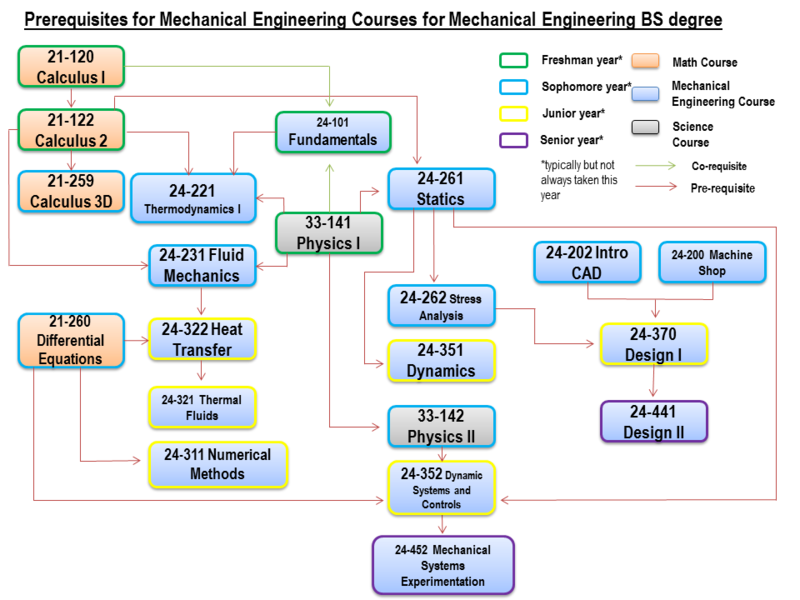 The undergraduate curriculum in the Department of Mechanical Engineering offers students significant opportunities to pursue directions of personal interest, including minors, double majors, participation in research projects, and study abroad. Design and teamwork experiences occur at regular intervals in the curriculum and graduates have significant hands-on experience through laboratories and projects. Undergraduate enrollment and degrees earned per year. View Carnegie Mellon's official undergraduate catalog. Experience the student making and fabrication facilities in the new Tech Spark. Review 2018 employment and salary statistics.